Nodular melanoma is the second most common subtype of melanoma, accounting for 10-15 percent of cases. Nodular melanoma consistently accounts for 14 percent of diagnosed melanomas, but makes up 37 percent of ultimately fatal cases, according to a study published in the Archives of Dermatology. 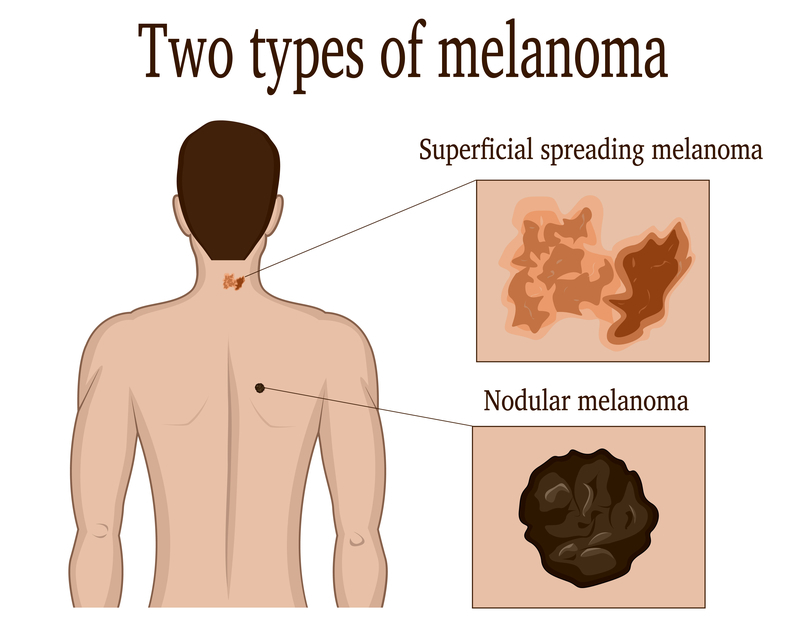 There are four subtypes of melanoma, and nodular melanoma is the most aggressive of all. It spirals downward and deeply into the layers of skin, but will show up on the surface as a firm symmetrical bump, lump, or nodule. By the time some people recognize something is wrong, it has already become invasive. Nodular melanoma (NM) is the second most common subtype of melanoma (the most common is lentigo maligna melanoma), accounting for 10 to 15 percent of cases. It often develops on the face, head, or neck, but can also occur on the trunk or lower body—in other words, no area of the body is absolutely safe. This aggressive skin cancer can affect a person of any age, but is more likely to strike in older adults. Some studies indicate men are more susceptible than women, and it is seen in fair-skinned Caucasians more than in other races. Those at highest risk have had severe exposure to ultraviolet rays, whether they come from the sun or tanning beds. Other risk factors are light or red hair color, blue eyes, and a personal or family history of melanoma. Up to 14 percent of those who are diagnosed with a melanoma have a family member with the same condition. Oncogenes are supposed to promote cell growth and division. Tumor suppressor genes are supposed to regulate cell growth and division. When oncogenes go rogue, cells begin growing and dividing in a manner that is wildly out of control. When suppressor genes fail to get the message to control cell growth, a perfectly horrible genetic storm has developed that can result in melanoma. If you’ve heard the term BRAF in the context of cancer, you’ve likely heard about oncogenes. UVA radiation causes damage to DNA, the genetic material that determines how our bodies look and function. Damaged genes can cause nodular melanoma. A third possibility is inherited melanoma. Twenty percent of those with a family history of melanoma have a damaged gene—a mutation. Nodular melanoma is diagnosed by a skin biopsy or possibly a biopsy of lymph nodes in the area. If your doctor suspects the ND may have metastasized to other organs, imaging tests will be ordered. How ND is treated depends on the thickness of the melanoma, the presence of open sores (ulcerations), and whether or not the disease has spread to lymph nodes or other organs. Once those variables have been assessed, the treatment options are similar to those of other kinds of cancer: surgery, chemotherapy, immunotherapy, targeted therapy, and radiation. As with any disease, and particularly with nodular melanoma, the prognosis depends on several factors. However, because of its aggressive nature, the overall prognosis is generally worse than other forms of melanoma. 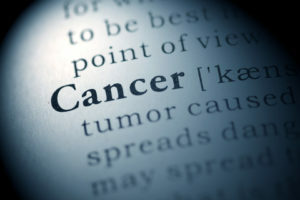 A prognosis can be better or worse, depending on the stage of the tumor, the age and health of the patient, the size of the melanoma when discovered, the likelihood that the tumor can be completely removed, whether the cancer is occurring for the first time, and the response to treatment. In spite of an overall pessimistic prognosis, nodular melanoma can be treated successfully. It’s up to the patient to know what to look for and to get to a dermatologist quickly, then up to the doctor to schedule prompt and appropriate treatment. One of the most successful health education initiatives ever conducted in Australia was called “Slip, Slop, Slap”—Slip on a shirt, Slop on sunscreen, and Slap on a broad-brimmed hat. The original slogan has now been expanded to “Slip, Slop, Slap, Seek, and Slide,” and exported to countries like the United States. “Seek” means to find some shade. “Slide” is a bit of a grammatical stretch, but good advice: Slide on a pair of wrap-around sunglasses. cancer, cancer surgery, chemotherapy, health, immunotherapy, kinds of cancer, melanoma, melanomas, nodular melanoma, radiation, skin, skin biopsy, skin cancer, tumor. I thought you might be interested in this article on https://universityhealthnews.com: What Is Nodular Melanoma?